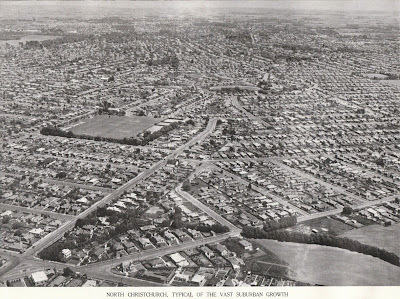 Representative Airviews of New Zealand Cities and Boroughs. 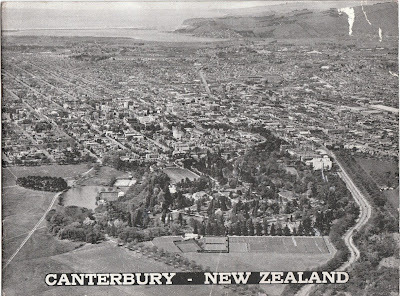 The preface to this book is dated July 1952 however the large crowds gathered in the Cathedral Square area may indicate a date between 19 to 22 January 1954 - during the visit to Christchurch of Queen Elizabeth and the Duke of Edinburgh. 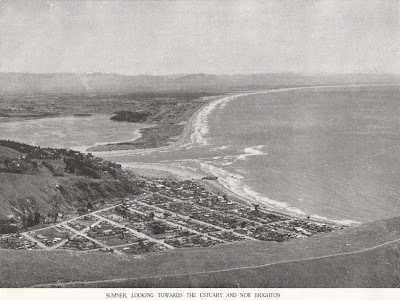 below - 1947, a representative of the 10,000 subjects in the Library of Whites Photographic Division. 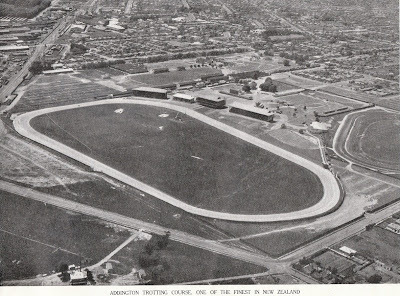 Produced by the Information and Publishing Division of Whites Aviation Limited, "The Air Travel Specialists," Dilworth Building, Auckland, New Zealand. 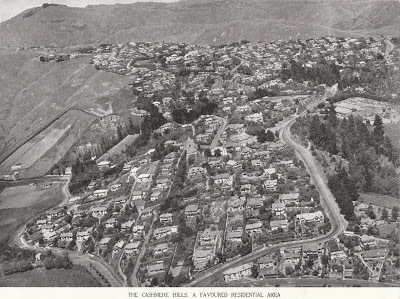 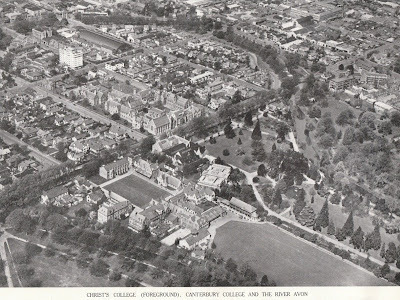 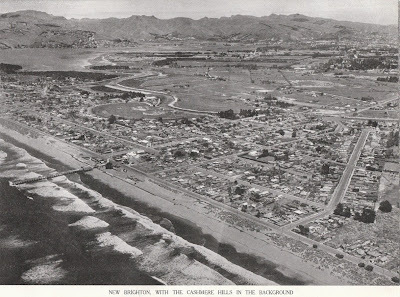 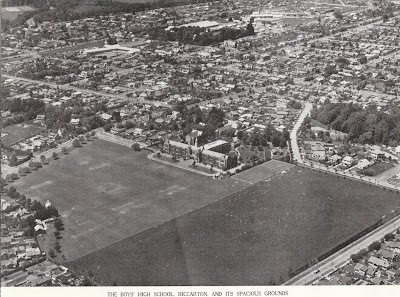 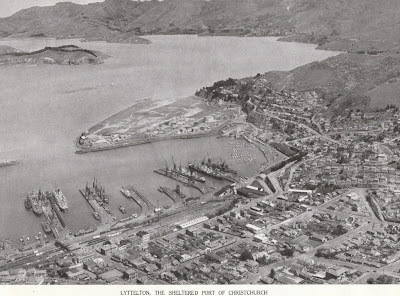 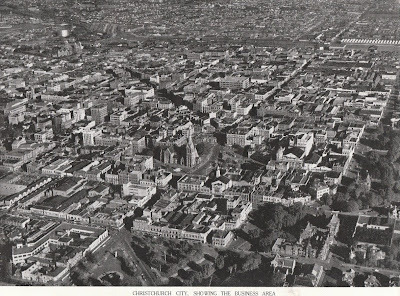 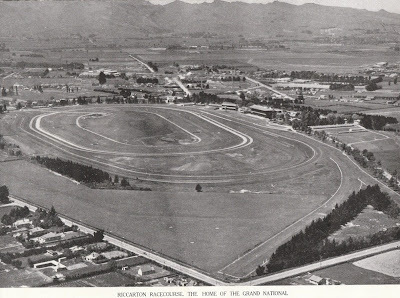 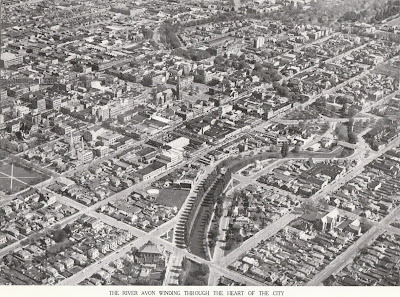 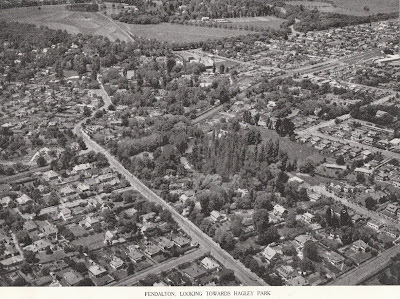 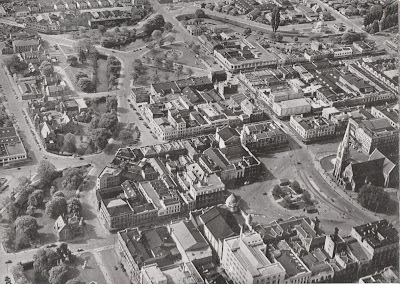 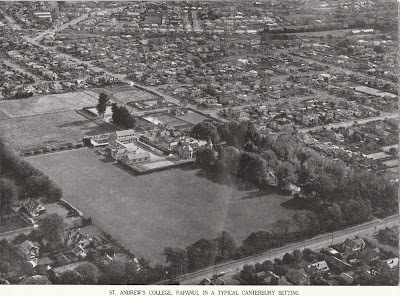 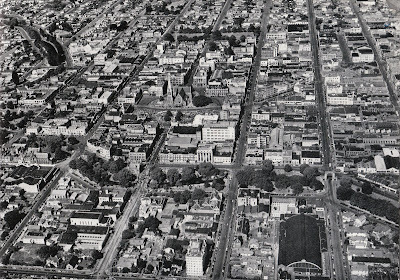 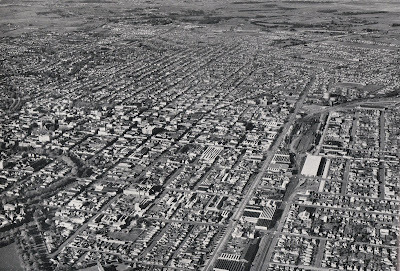 The aerial view of the central city looks like the centenary celebration of December 1950, when the Archbishop of Canterbury led a service of thanksgiving at the cathedral.